This was made this for the sake of practice, trying to keep skills sharp. 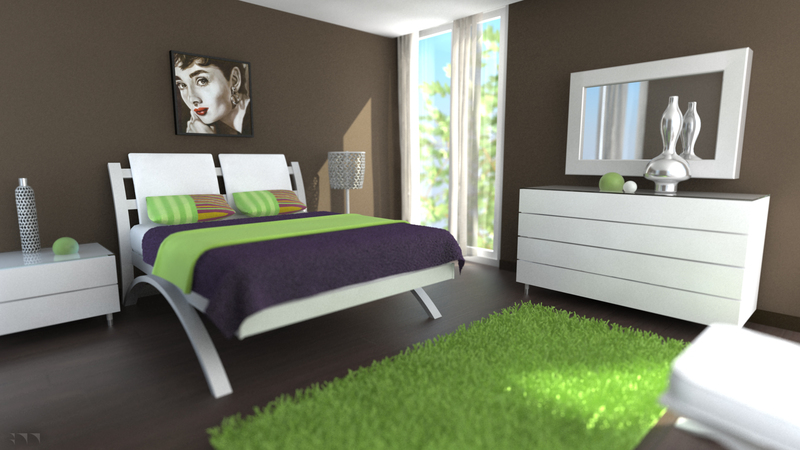 I google image searched “modern bedroom” and found this: [link] which I used as a basis for this design. I added some extra windows behind the camera to bring in a bit more natural light. Anywho, stats – Medium: 3DS Max + Vray, NO PHOTOSHOP POST! Modeling and materials: 2 days, Render time: Uh, I dunno, overnight?